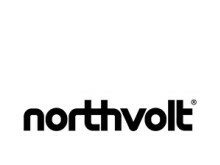 “We’re proud and excited to welcome such seasoned experts to the Northvolt team. Each of them is respected in their individual field of expertise. They bring knowledge and experience that complements our current team well and they all share the commitment and passion for transforming our society. This is key in our mission to build Europe’s largest battery factory, enabling the future of energy.” says Peter Carlsson, CEO of Northvolt. Jan Edgren, Head of Construction. Jan will join the team on July 1st and is currently holding the position as Vice President Technical Services at Scandic Hotels Group. Jan has thorough experience from construction and real estate and was formerly the Development Director at Pembroke Real Estate. Fredrik Hedlund, Head of Programs. Prior to joining Northvolt, Fredrik was the CEO at Sigma Connectivity. Fredrik has also been CVP Strategy at Sony Mobile. Kenichi Hoshino, Director of Cell Design. Prior to joining Northvolt Hoshino worked as General Manager at Aleees Eco Ark. His experience includes working as VP for Samsung SDI in Korea, General Manager for Sony Energy Devices Corporation, as well as working for Fuji Film Celltech and Matsushita Battery. He will join the team in May. Marie Strannegård, Head of Recycling. Marie will join the team on June 15th. Marie is currently VP, Head of Business consulting including Energy and Utilities at Ericsson. Marie has extensive experience from working both with the telecom sector as well as with the energy sector, including background as VP for Solar Business and Business Development and R&D at Fortum. Jesper Wigardt, Communications and Public Affairs Director. Jesper will join the team May 15th. Prior to joining Northvolt, Jesper worked as Head of Communication and PR Manager at Klarna. He has also a background as Press Secretary and Political Advisor at the Moderate Party. Additionally, Susanna Campbell has joined team Northvolt as Industrial Advisor. Her extensive experience in financing and performance development will be extremely useful and valued. Susanna is currently an independent investor and non-executive board member, as well as working at Norrsken Foundation. She has a background as the Chief Executive Officer of Ratos AB and her experience also includes working for Alfred Berg and McKinsey & Company. Electrification and renewable energy storage are the keys to a carbon neutral society. Batteries will enable the transition. The auto industry alone will need batteries in huge numbers to replace fossil fuels with electricity. The ability to store energy is also crucial to free the world’s energy generation and distribution from coal, oil and natural gas. Northvolt is building Europe’s largest Lithium-ion battery factory to drive the global energy transition.